Hoody: H&M, top: MiFit, trousers: MiFit, trainers: Dunlop Flash. I quite like this photo, I look quite tall! Like most people, the thought of any kind of exercise is enough to put me off but by ignoring my grumbles and bribing me with promises of Fringe marathons, Mark has convinced me to get outdoors. As with most things, I was most concerned with what the most appropriate things to wear were. The first time we went, I wore my beautiful Nike trainers and they ended up covered in mud so now I prefer my old trainers, my wellies or my new DMs (wipe clean rubber FTW!) paired with my rather snazzy new exercise gear. I love all of the various jazzy patterned running leggings you can get but I held off ordering any as I am hoping Father Christmas will be reading this blog! ;) Obviously it is getting pretty chilly out there so wrapping up warm is pretty important. 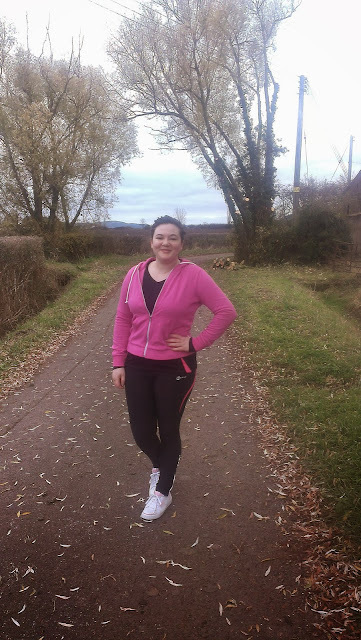 If I am running, I tend to just wear my H&M hoody (I love the bright pink colour but I always feel like Elle Woods when I am wearing it!) as I warm up very quickly! Who would have thought that one day I would be feeling so enthused about both exercise and exercise gear?! Maria, you have changed! What do you wear to exercise? How do you stay motivated? So glad to hear you're loving it! I really need to get a good waterproof running jacket! 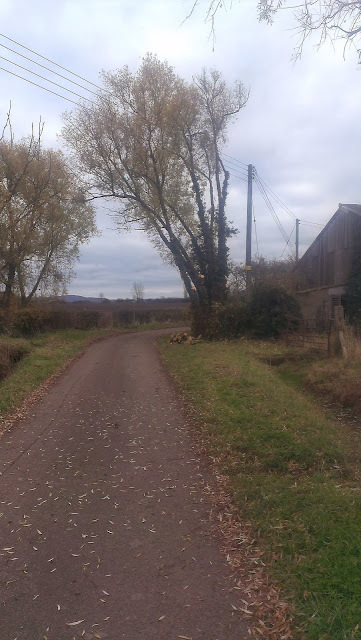 I think I'd exercise more if I lived in the country, I hate running along main roads! So pleased for you- it's so much easier when you find a way to enjoy exercise rather than it always being a chore or something you loathe. Looking like hot stuff out there, keep up the good work love. I went to the gym for the first time today in years. I actually enjoyed it. I love your work out outfit, especially the pink hoody.